to take back to their schools. 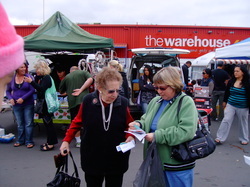 We went to the local Kaitaia market on Saturday mornings. 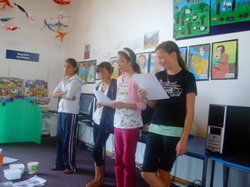 that we had just given them. We wanted to share the information about bees with the junior class children from our school and other schools in our area. We designed and made a hexagonal shaped box for each child. We put some seeds, some stickers, a maze and also gave them a brochure about our group and what we are doing. 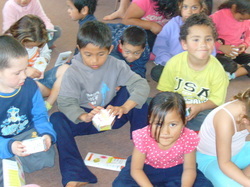 We have given our boxes to the children at Oturu School, Paparore School and Papatawa School.